Learn tips for having a safe and fun babysitting experience! Find out how to interview for a babysitting job and provide age appropriate games and toys, basic first aid, diapering and feeding techniques and much more. Online registration available soon! Become a qualified Food Safe Server and be better prepared for employment! The Level 1 course is for food service front-line workers such as bus persons, servers, dishwashers, and cooks. With completion, you will receive a FOODSAFE certificate. Online registration available soon! Join us for some fun social engagement, trust, leadership and confidence building activities. Youth will work on building a positive identity, improving communication and interpersonal skills. Online registration coming soon! 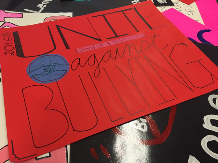 Each year, the AYC hosts a rally at their youth centre at ARC, bringing awareness about bullying. This event is always a highlight of the year for both the youth and the AYC. Come join us for youth presented workshops, prizes, food and fun!